Thanksgiving weekend is a special time of year for Oregon winemaker Amy Wesselman. It’s one of just two occasions when she and her husband, David Autrey, throw open the doors of their McMinnville winery to the public. The rest of the year at Westrey Wine Company (a compound of their last names), the couple works to produce 5,000 cases of pinot noir, pinot gris and chardonnay with help only from their two teenage sons. They are hands-on in the vineyard, tending to every grape, harvest, crush, fermentation and bottle by hand — the way they’ve done it since they founded the company in 1993, when winemaking was still in its infancy in Oregon. 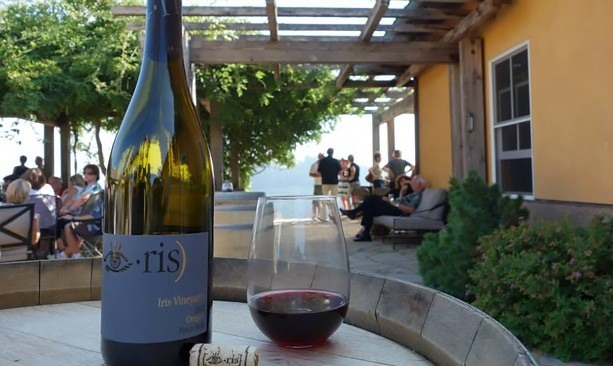 Iris Vineyards will pour their Chalice Vineyard wines, paired with local bread and cheese as well as roasted chestnuts from their estate orchard. 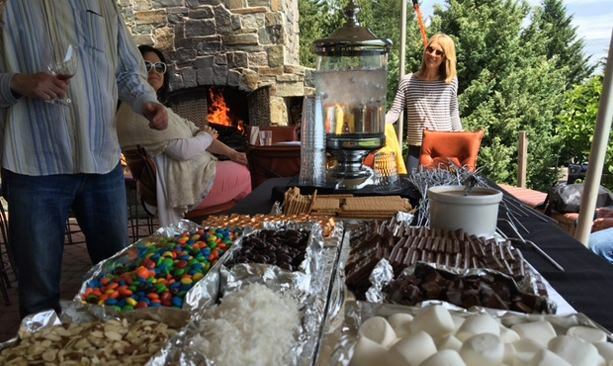 In the past, Blakeslee Vineyard in Sherwood has paired their wines with a gourmet s’more bar for Thanksgiving weekend. Today, Westrey is one of more than 150 wineries in the Willamette Valley that hosts a giant party for visitors every Thanksgiving weekend (Nov. 23-25, 2018). Fresh off the year’s harvest, wineries offer special tastings, new releases, food pairings, live music, holiday pricing on bottles and more. Wine lovers of all stripes flock to the valley to sip their way through their favorite spots and panoramic vistas and explore new ones. Several wineries are like Westrey, open to the public exclusively on Thanksgiving and Memorial Day weekends. Many tasting rooms are brand new or newly renovated, like Remy Wines in Dayton and Day Camp Wines in Dundee — a hip new wine collective that opened in February 2017 with 11 small, local producers under one roof. 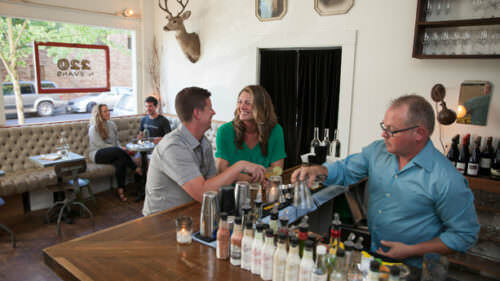 Enjoy a flight in the modern tasting room with floor-to-ceiling windows, or seating on the outdoor patio with firepit. Check the listings for the full lineup of Thanksgiving weekend events. Where to stay? Wine country retreats range from cozy B&Bs to rustic glamping to luxury vineyard rental homes. Make yourself a comfy basecamp at the The Allison Inn & Spa in Newberg; McMenamins Grand Lodge in McMinnville; The Vintages Trailer Resort in Dayton; or Black Walnut Inn & Vineyard in Dundee, a European villa-inspired bed and breakfast high on the hillside with panoramic views of the valley below. Find more unique options here. What to eat? Farm-fresh and seasonal options in wine country are abundant. Try the Gem Creole Saloon in McMinnville for New Orleans cuisine with authentic fare like oysters, crawfish and fresh beignets. Or a walnut bread pudding french toast for Sunday brunch at Ruddick/Wood in Newberg. For some of the best barbecue in the region, head to Storrs Smokehouse in Newberg for melt-in-your-mouth brisket and all the fixins. See the listings for more options. Where to go? If you want to skip the driving and organizing and pamper yourself with a little VIP service, schedule a wine country tour for part of the weekend. Two dozen operators now offer such tours, from luxury limo and town car rides to guided backcountry adventures, many offering custom itineraries and appetizers or picnic fare. Portland-based Winemaker Tours are led by local winemakers and sommeliers, and McMinnville-based Insiders Wine Tour specializes in small boutique wineries. 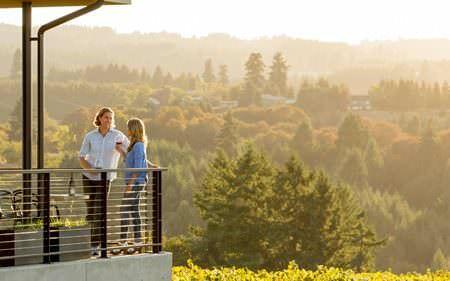 Evergreen Escapes, meanwhile, offers a Willamette Valley Waterfall & Wine tour that takes small groups on a personable deep dive of top spots in the region. What to bring? Help those in need and bring along cans of food or other non-perishable food to donate to the Willamette Cares Food Share program, an annual tradition for local wineries. Seventy wineries are collecting the goods this year at their tasting rooms during Thanksgiving weekend and continuing through December. The food is donated to the Oregon Food Bank Network. Check the listings too for family-friendly or pet-friendly wineries, ones with vineyard tours or organic/Biodynamic designations. Since the Eagle Creek Fire smoke has calmed, all of the 30-plus tasting rooms in the Columbia River Gorge plan to be open to share their love with visitors during a Thanksgiving weekend open house. Love the mountains and back roads? Set out to explore the wineries of Mt. Hood Territory; call ahead for Thanksgiving weekend events. Off the beaten path, most of Southern Oregon’s 50 or so wineries will participate in Thanksgiving weekend wine festivities with dazzling events of their own, each showcasing the unique diversity of the region. The Applegate Valley Wine Trail, in particular, is a great way to start getting acquainted with this popular destination. 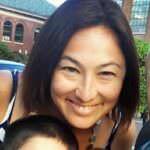 Want to stay close to Portland? Sixteen of the 24 or so wineries in the city belong to a collective called PDX Urban Wineries. Most will have pre- and post-Thanksgiving weekend events, but Hip Chicks Do Wine blows out all the stops for visitors that weekend. “It’s one of only two weekends when we pour every single wine we make,” says co-owner/winemaker Laurie Lewis, also president and founder of PDX Urban Wineries. That means visitors may taste 12 to 16 wines, made from six vineyards across the state — in the Willamette, Umpqua and Rogue valleys. They’ll offer appetizer pairings, live music and the release of their first-ever white port, made from muscat grapes. Many of Portland’s urban wineries are tiny operations, working together, but Hip Chicks Do Wine is the oldest, founded in 1999. 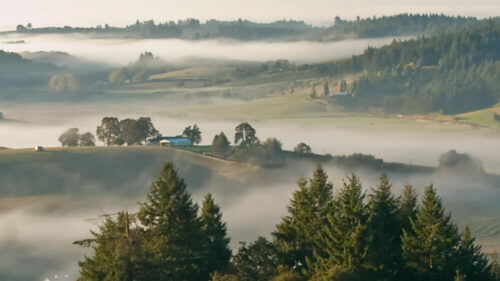 Also check out the crop of boutique tasting rooms in Tualatin Valley, where dreamy views accompany the award-winning wines. 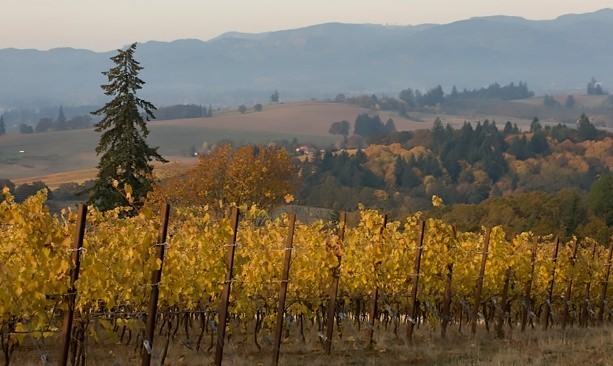 However you celebrate Thanksgiving, make sure to raise a glass to Oregon wines.